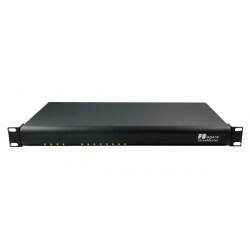 Niagara Video delivers professional-grade systems. Available in multiple configurations, including HD, SD, high‐density rack mount, and portable configurations with remote management SCX software included. Plus, you can deliver multiple simultaneous streams in different formats to end‐users with multiple devices types all from a single video source. 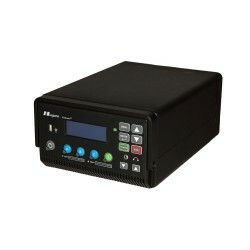 Niagara Video Go Stream Mini 100 H.264 Encoder 96-01500 with SDI, HDMI, Com..
Niagara Video GoStream B264 Dual Channel H.264 Broadcast Encoder 96-01601 i..
Niagara Video GoStream B264 Single Channel H.264 Broadcast Encoder 96-01600.. The Niagara Video GoStream Ha Dual Channel Encoder Audio Input Card 96-0130..
Niagara Video GoStream-A Single Channel SD Encoder 96-01330 with 120 GB SSD.. 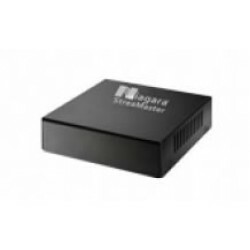 The Niagara Video GoStream-H Dual Channel Encoder 96-01300 that includes 50..
Niagara Video StreaMaster US2 96-01401 receivers are a cost-effective famil.. 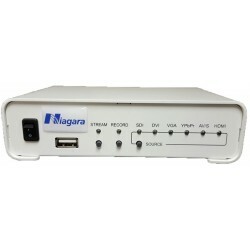 The Niagara StreaMaster receivers are a cost-effective family of products t..